I’ve always considered myself a fairly adventurous person. I’ve done a number of things that many people would not do. To name a only few… I’ve impulsively moved to California (twice), gone whitewater rafting, traveled in a little old beater motor home from coast to coast multiple times with my young daughter (and a set of Craftsman tools that I used every single trip), gone spelunking in Sharps Cave in West Virginia, traveled abroad three times, and even taken sky diving lessons, although in this case common sense won out and I never jumped. The cancer diagnosis had a profound affect on my independence, adventurous spirit, and self-confidence that has been hard to get back. Maybe it’s because I realize I’m not invincible now. I guess everyone deals with facing their own potential demise differently. For some reason I never took on that ‘live like you are dying’ philosophy, so I doubt that I will ever ride the bull named Fumanchu that Tim McGraw sings about, or any other bull for that matter. However I still might do ‘some Rocky Mountain climbing’ as long as it doesn’t require I go above the treeline or involve ropes. Recently I had the pleasure of traveling to beautiful North Carolina for work related training. I always try to fit in a little pleasure on these working trips. This time I met several very nice people and actually had my first ever raw oysters at a raw oyster bar with my new acquaintances. I’m glad I tried them, however since the Cleveland area does not have a raw oyster bar that I can find, I probably would not go out more that 50 miles of my way to have them again. That probably says a lot since I’ve driven 5 1/2 hours each way to get something as plebian as a burrito after moving home from California before every town had a Taco Bell. When I fly I usually do not strike up much conversation with the person that sits next to me, preferring to watch the ground below to see if I recognize any landmarks of places I’ve visited in that motor home. However as fate would have it, on my return flight I made an exception. We started out with the typical basic casual conversation discussing the reason for our flights. In the conversation I found out she worked in research at a pharmaceutical company. What a coincidence! I decided to tell her my story regarding treating my advanced colon cancer using an alternative cancer treatment. If you’ve not read my story you can read it here and the realization that it was successful, here. She was very interested, especially because someone very close to her was also diagnosed with colon cancer about the same time I was. In our conversation I told her my thoughts on why peroxide will never be an accepted treatment for cancer despite of its apparent effectiveness. While I was being treated for cancer, all of my doctors had the same attitude. They all basically said that there may be alternative cancer treatments that work, however until clinical trials are performed and they become the approved standard of care, they cannot not be prescribed by a physician. Working in the medical field myself, I can certainly see their point especially in such a litigious society. I sincerely feel doctors really want their patients to do well. There is no conspiracy on behalf of physicians regarding alternative treatments. They simply cannot support or prescribe anything that is not the standard of care and has not gone through clinical trials. Even when an individual has success such as I had, being one person, I had no control groups for comparison or any of the other things that make up a clinical trial. So I told the pharmaceutical research person sitting next to me that I thought a pharmaceutical company would never take h2o2 on in a clinical trial because there would be no money to be made. Hydrogen peroxide is just too inexpensive. Guess what? She actually agreed with me. She said that clinical trials were very expensive and recruiting patients was difficult. 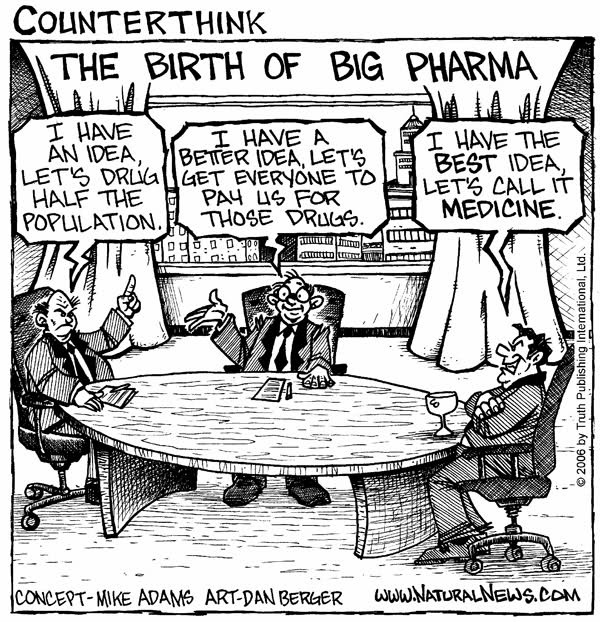 She continued that a pharmaceutical company invests a lot of money in each clinical trial, so if there is nothing to be gained because they could not patent the ‘drug’ it wouldn’t make sense to take it on in a clinical trial. They would never see their return on investment. It just doesn’t make good business sense. In order for hydrogen peroxide to make it into a clinical trial and become an approved treatment for cancer it will take a philanthropist with resources, that has been diagnosed with cancer, scared enough of dying to try hydrogen peroxide himself/herself, and of course taking the peroxide with a successful outcome like me. If you know of anyone who fits the bill, let me know! So for those that won’t try peroxide because they think things like ‘if peroxide is so good, why hasn’t it been approved for use by tradition medicine?’, now you know. This does not mean it doesn’t work and I feel that I am living proof that it can and does work! It’s now been over two years since the lesion was found in my liver. And five months since my last scan that said the lesion was no longer visible. Each day is such a gift! I’ve often wondered why I, of all people, was saved from this dreadful disease. I’m convinced my purpose is to get the word out. I have nothing to gain by telling my story other than the satisfaction that I’m doing everything I can to help as many people as possible. I do not receive one penny from any advertisements that might appear on this website. And I have no relationship to any links that I’ve provided that sell peroxide other than this was where I purchased my peroxide. Feel free to purchase your food grade period anywhere you would like should you decide it might also benefit you. This entry was posted in Alternative Cancer Treatments and tagged alternative cancer treatment, cancer treatment, clinical trials, peroxide therapy, pharmaceutical, research, standard or care. Bookmark the permalink.